The magnificent place of Australia, also known as the land down under is more than just a place of blissfully hopping kangaroos and hanging koalas. This is a place of surprises – great choices of food, amazing people, and is evidently bombarded with tourists all year. From its laid-back ambience to its jaw-dropping beaches, Australia will surely and will effortlessly steal your heart. 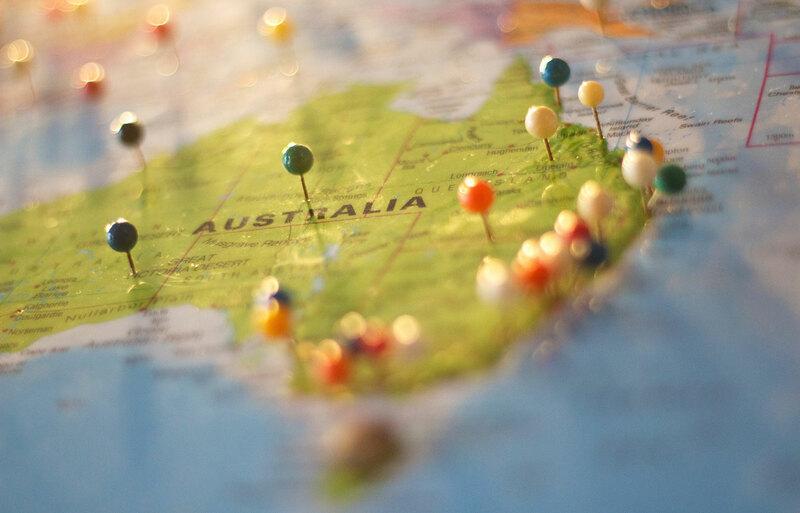 So, if you’re ready to know beyond the “land of the kangaroos” story, then read further and take note of the places you can visit in the land down under during holidays. This spectacular tourist destination and also a UNESCO World Heritage Site, located off the coast of Queensland in north-eastern Australia is undeniably the largest living thing you can find on earth. The Great Barrier Reef is tremendously 2,300km-long and houses thousands of reefs and hundreds of islands counting over 600 kinds of corals. The magnanimous ecosystem is home to myriad species of starfish, colourful fish, and molluscs, plus, dolphins, sharks, and turtles. You can enjoy your holidays here with a variety of water activities such as kayaking, snorkelling, scuba diving, scenic flights, sailing, glass-bottom boat rides, camping, fishing, and more. The mesmerising white sand of the Bondi beach will absolutely stun you as soon as you set foot on the place. Located 7km east of the Sydney CBD, countless surfers often visit the place for its reliable and exceptional waves. By visiting the tourist spot, expect to see the iceberg ocean pool, laid-back cafes, and more when you take a tour on the beach. Take note that this iconic destination is just one of the 10,685 beaches in Australia. Yeah, you heard and read it right. That’s why you’re also advised to bring a good supply of your swimming essentials so you can fully enjoy the vacation in the land down under. Holidays are meant for relaxation, unwinding, and sometimes also for meditation. These are only a few days where you can escape from the bustle and the hustle of the business world or the reality in general. Well, you can be free as you wished to be when you visit Australia. You can book yourself a luxury accommodation in Toowoon Bay to add a thrill on your Holiday vacation. Don’t be too selfish to yourself, a luxurious experience is all that you need and truly deserve, okay? And one thing’s for sure, you won’t regret spending time in Toowoon Bay. You’ll have more time to interact with nature while getting the chance to unwind and relax at the same time. Isn’t that great? If you’re looking for something new and freaking fantastic thing to do on your vacation, then you might want to visit the Uluru National Park. It’s a vast sandstone monolith midway the Northern Territory. But you must be aware that Uluru is sanctified to native Australians and is believed to have started developing around 550 million years ago. You can build a tent and sleepover to witness the magical changing of colours of the famous rock as soon as the sun rises and the sun shines and kisses it. Just make sure to ask permission from the locals before you do some actions. 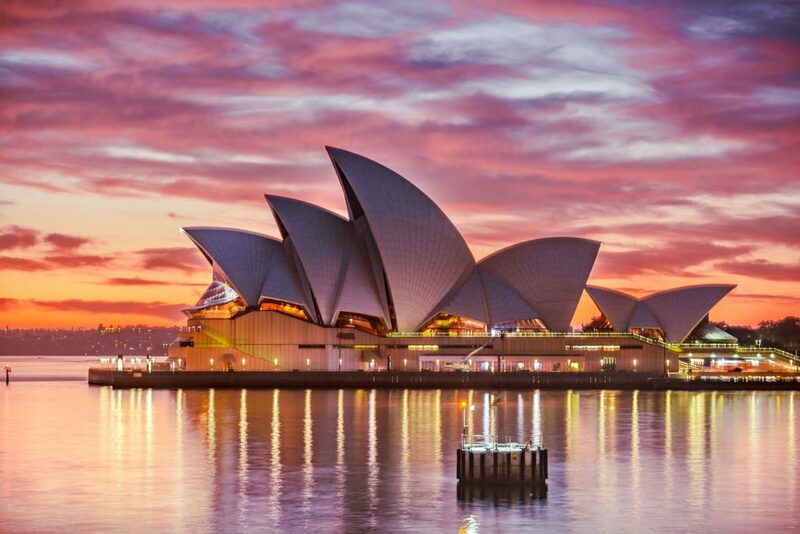 They say that your trip to Australia wouldn’t be complete or satisfying without visiting the prominent Sydney Opera House. It’s a multi-setting performing arts centre designed by Danish architect Jørn Utzon located at the Sydney Harbour, New South Wales, Australia. It’s considered as one of the 20th century’s most renowned and distinctive buildings. You can spend time alone here, or bring your family and friends. Enjoy the view and cherish the moment, take photos with its sail-like exterior design as your background. And woah! What a great shot! If you’re a kid at heart and soul, you can take a quick tour in a theme park which you can find on the Gold Coast, Queensland, Australia. Possessed and regulated by Village Roadshow Theme Parks since the acquisition from WarnerMedia, Warner Bros. Movie World continues to bring joy and thrill to its patrons. This place is totally ideal for the fans of Warner Bros, film studio and DC Comics properties. If you’re wondering what’s waiting for you there, you must expect to see several movie-themed rides and attractions going from motion simulators to a roller coaster and slow rides. Since almost everyone knows Australia with its immense population of kangaroos and as home to cute koalas, you might want to see koalas with your own eyes. Go and have fun with koalas in Lone Pine Koala Sanctuary in the Brisbane suburb of Fig Pocket in Queensland. It’s an 18-hectare sanctuary with over 130 koalas. Since it’s founded in the year 1927, it’s now the world’s largest and oldest koala sanctuary. So, what are you waiting for, huh? There’s also a theme park and zoo which you can find on the Gold Coast in Queensland namely Dreamland. You can enjoy to the utmost level with its over 40 rides and attractions, as well as five roller coasters which make it Australia’s largest theme park to date. A variety of choices mean great fun and adventure ahead! This theme park can really give you the kind of holiday vacation that you absolutely need. So, what are your thoughts upon knowing the places to go in the land down under? Australia has totally a lot in store to offer to you, and these are only eight out of the uncountable places to mention. The most ideal thing you can do now is to book your flight and ready yourself to explore and spend holidays in Australia!